November 30th is an important anniversary for me. November 30th is an important anniversary for me. It’s the day my dream a decade in the making came to fruition. It’s the day I fought in the UFC. When I debuted as a professional fighter in Japan in 2003, women didn’t fight in the UFC. Or Strikeforce. Or any major organization. “I want to fight in the UFC some day, I want to be the first,” I thought. Ten years later, I was there. I worked hard and sacrificed a lot for that. 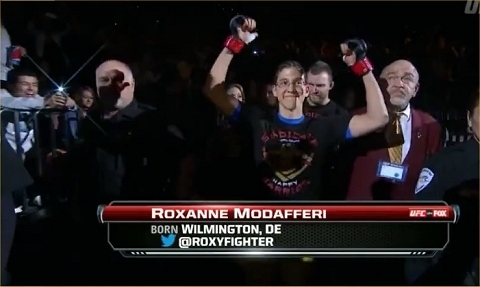 After eight years of living and working in my beloved second home of Japan, I got on the Ultimate Fighter season 18. 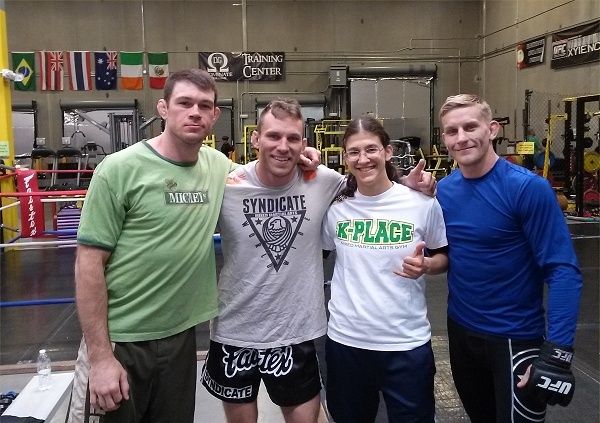 Then, after that experience, I decided to painfully give up that life and move to Las Vegas, to Syndicate MMA Gym, on the CHANCE the UFC might offer me a fight on the finale. They could have said no. But a month out, they made me the offer. And I fought. I truly with I had come to Syndicate years ago. 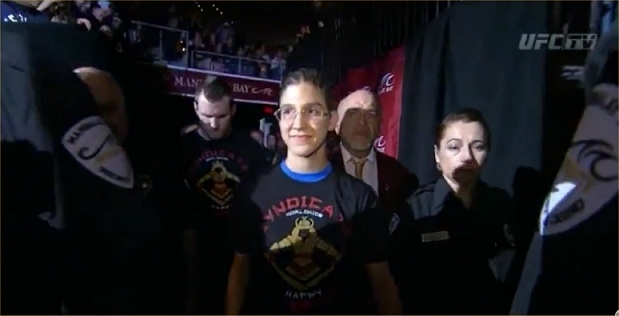 I had improved so much but not enough to beat Raquel Pennington, so she got kept and I got cut. 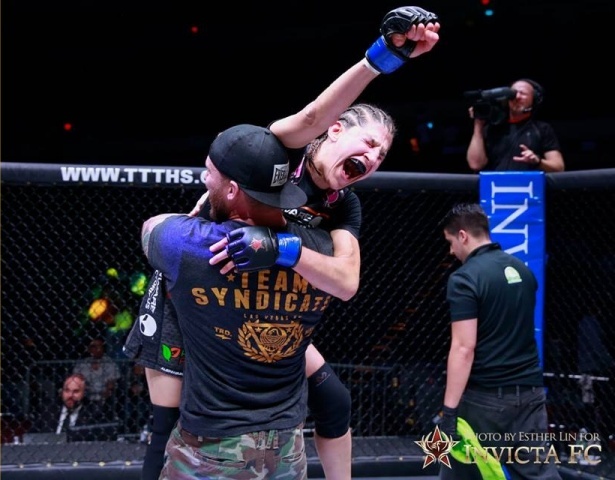 Then I signed with Invicta, trained for another year, got better and won my next fight against Tara. But that day I fought in the UFC will be forever burned into my memory. Burt Watson running up and down the halls screaming, “We’re rolling! !” making me even MORE nervous. Coach John telling me positive things. When my music started, I got chills. I started walking out and people started cheering. People hung off the bleachers, waving at me, smiling. (I still had my glasses on at that point so I could see. I didn’t want to miss that!) 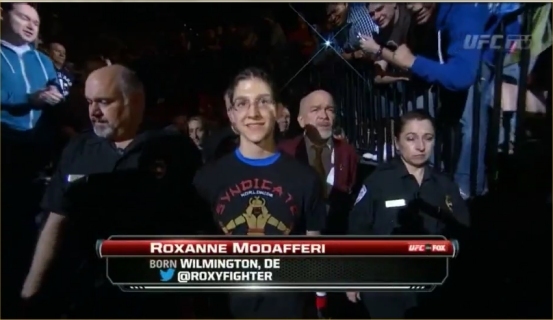 I thought, “WOW, I’m fighting in the UFC!” and then “They’re really screaming FOR ME? for me? !” I almost couldn’t believe it. And then, almost as memorable as my entrance, was my exit. I had lost by decision. I was upset. Trying not to cry. Trying to smile, because I was supposed to. I am the Happy Warrior and it’s my job to smile. I was leaving, and the people around me STILL cheered. They still screamed “Roxy!” and showed me love. They cheered almost just as loudly as when I entered. You guys supported me even when I lost. My coach and team, too.